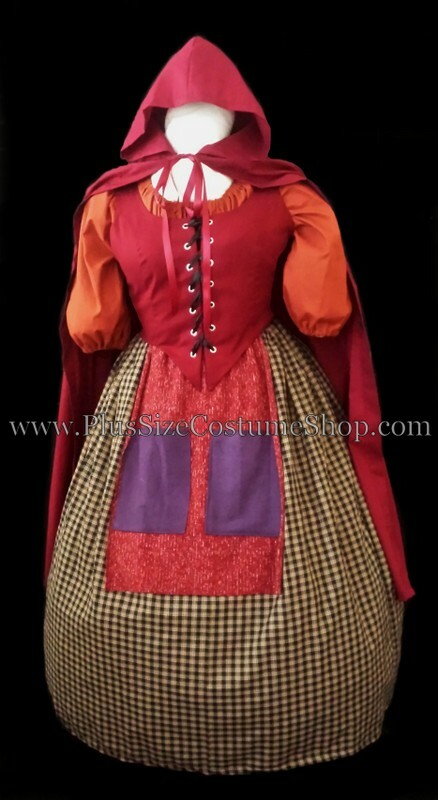 The bodice is made of dark red cotton and is fully lined and boned at the lacings. It laces up through professional-strength grommets. 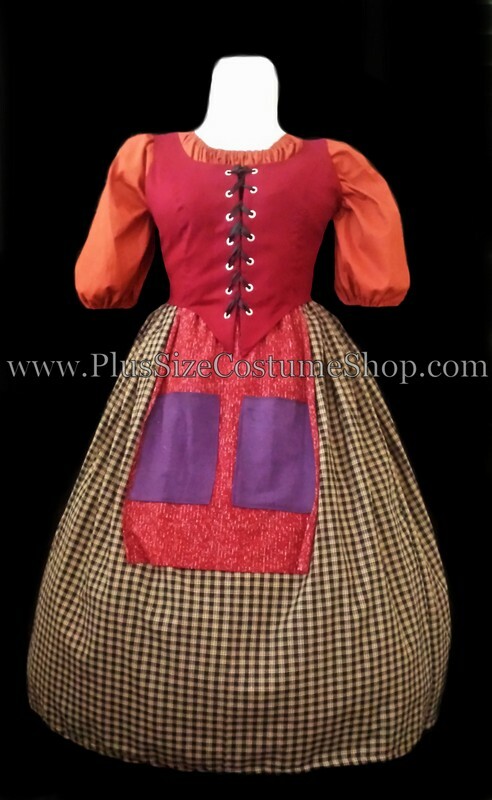 The skirt is made of black/beige woven cotton plaid and has an attached red mottled knit apron with purple flannel pockets. The skirt has an elastic waist and will come hemmed at 44” (extra long) unless a shorter length is requested. The peasant shirt is made of burnt orange cotton and has elastic in the sleeves and neckline for a comfortable fit. The sleeves are approximately 3/4 sleeve length (if you would like a different length, just request it when ordering). The shirt is approximately 32" in length or hip-length. Also included is a dark red, hooded cotton cape. The cape ties around the neck with a matching ribbon.